This is the third book I have read by Gene Veith and I have yet to be disappointed. They are always informative and have a unique Christian insight. 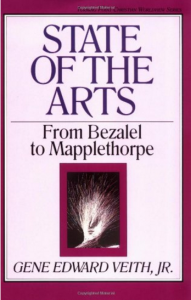 This book is for the layman in the field of art. It is not until we at least attempt to understand what God intended for art to be and represent that we can discern the low estate of the art world today and the Christian’s obligation to art in God’s world.